Oldsmobile was a brand of American automobiles produced for most of its existence by GM and was founded by Ransom E. Olds in 1897. In its 107-year history, it produced 35.2 million cars, including at least 14 million built at its Lansing, Michigan factory. When it was phased out in 2004, Oldsmobile was the oldest surviving American automobile marque, and one of the oldest in the world, after Daimler, Peugeot and Tatra. Though it was discontinued in 2004, it still remains an active trademark of the General Motors Company. The closing of the Oldsmobile division presaged a larger consolidation of GM brands and discontinuation of models during the company's 2009 bankruptcy reorganization. 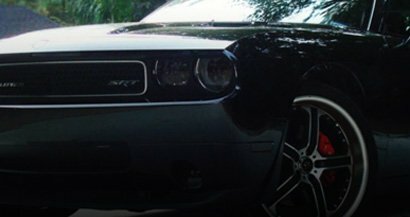 Whether you want to upgrade your the exterior aesthetic of your Oldsmobile with tints or a spoiler, are looking to enhance the interior of your Alero with a custom dash kit or simply want to protect the finish of your Achieva with a pre-cut paint protection kit we carry an extensive selection of products and accessories designed especially for your vehicle's specifications. Regardless of what product you select you can rest assured knowing that you'll be getting a top-quality product at a great price. Rvinyl understands that when you buy an accessory, tint or protection kit you aren't simply making just another purchase--you're making a statement to the world about who you are and what is important to you. Donâ€™t wait call, chat or email us today and let us be your source for custom car tints and accessories.